**BEXLETTS HAVE LET THIS PROPERTY. FREE RENT INSURANCE PROVIDED TO THE LANDLORD AND 0% FOR FULL MANAGEMENT FOR 3 MONTHS!!! 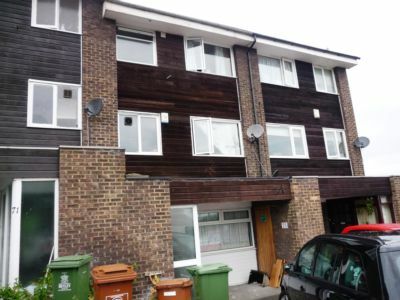 TO RENT YOUR PROPERTY PLEASE CALL 0208 301 3445 FOR A FREE VALUATION** On offer this larger than average 4/5 bedroom town house located nearby to Belvedere station. The property benefits from double glazing, gas central heating, large lounge, fitted kitchen, conservatory, off street parking and rear garden. DSS considered. Double glazed window to the rear, carpets laid. Large conservatory with laminate flooring, patio doors to the rearr garden. Large 'L-shaped' lounge, double glazed patio doors to balcony, carpets laid. Fitted wall and base units, tiled spash back and floor, stainles steel chimney extractor hood, gas hob, and oven. Double bedroom with fitted wardrobes, double glazed window to front, laminate flooring. Single bedroom with laminate flooring, double glazed window to rear. Double shower cubicle, wc, basin, towel radiator, tiled floor.